We know we’ve said gray is heading out… but we just can’t help it. The structure alone on these items can look great in just about any color. 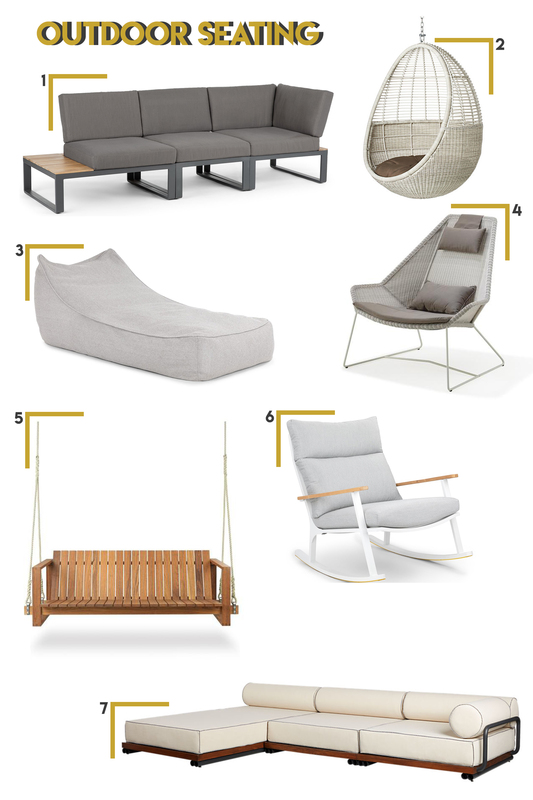 We especially love the cushy lounger (#3). They’re kid-friendly, with such a modern look that doesn’t compromise comfort. A sleek rocker (#6) is always a crowd pleaser! There are only a few things you need for the perfect summer party: good food, good friends, and comfy seating. (Pools and jacuzzis are also a plus.) With enough seating for everyone, you can be the perfect host. Or just enjoy summer nights with your family.